Well-made swimming pool pumps typically last a minimum of 5 years and 15 to 20 years with proper care. It is during this period of time that a pump starts malfunctioning if suitable precautions are not taken. However, common causes of damage to the pump can be prevented. 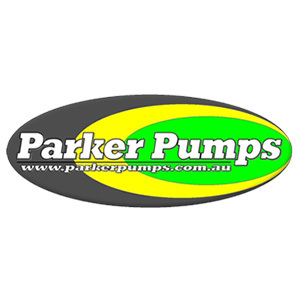 Swimming pool pumps should never operate without water. They will overheat and cause excess damage. Running a pump without water can also warp the lid, basket and the adjacent plumbing. If the pump continues to run without water, there is a high possibility of causing damage to the plate, seal and bearings. If you discover that your pool pump runs dry, turn it off immediately until you determine the cause of the problem and have it resolved. The pool pump can easily overheat if the water level is below the skimmer intake. Generally, when the water level is to low the pump can easily run dry and lose its prime. It only takes a brief inspection to make sure the water level of the pool is not too low. The skimmer basket is designed to catch debris and mulch before it can clog and slow the pump down. When the skimmer baskets are plugged with debris it can create a lot of havoc to the pump. If the basket is removed or dislocated, debris can go around the strainer and jam the suction line. Clogged skimmer baskets also obstruct filtration and circulation. In addition, a clogged skimmer line can cause pump damage if it runs totally dry. Sometimes the lid can get a small hairline crack that can be hard to notice. Although your pump may operate as usual, sometimes air can be sucked in. When air is pulled into the pump it can cause it to dry. As well, in the long run your pump can age too early and overheat. Sometimes when the pump basket is cleaned the pump lid o-ring is not replaced or is forgotten, In fact, this is a common error that happens often. Unfortunately, it can easily go unnoticed. When the pump lid is replaced without the o-ring then air can permeate in. Actually, when the timer turns on, the pool pump will pull in air instead of water. Other factors that can cause damage to swimming pool pumps include incorrect voltage, improper grounding, freeze damage, wrong fitting components and plants blocking airflow around filter system.